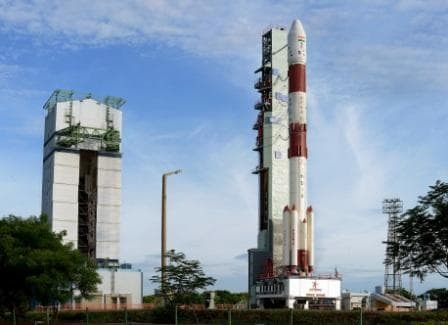 Indian Space Research Organisation (ISRO) has added another feather in its hat with the launch of its longest ever mission spread over two hours with the PSLV (Polar Satellite Launch Vehicle) C-35. The PSLV C-35 lifted off on its thirty-seventh flight from the spaceport, at Sriharikota just a few hours ago. The 44.4 metre tall PSLV C-35 is carrying eight satellites on board out of which the most important is the SCATSAT-1. The SCATSAT-1 (Scatterometer Satellite-1) is a miniature satellite to provide weather forecasting, cyclone prediction, and tracking services to India. The SCATSAT-1 weighs 371kgs and it shall take over the dysfunctional Oceansat-2. This will help reduce India’s reliance on NASA’s ISS-RapidScat for prediction of cyclone forecasting and weather prediction. The SCATSAT-1 has been released first into a 730 km Polar Sunsynchronous Orbit (SSO) after about 17 minutes of launch. Along with SCATSAT-1 the PSLV C-35 is carrying seven other satellites which weigh about 675kg. Among the seven satellites there are two academic satellites. The first academic satellite is PRATHAM from IIT Bombay that shall estimate Total Electron Count. The second satellite is the PISAT from BES University, Bengaluru that shall develop a nanosatellite for remote sensing applications. Other satellites on board are from different countries. From Algeria we have the ALSAT-1B, ALSAT-2B and ALSAT-1N. From USA we have the Pathfinder-1 and from Canada we have the NLS-19.